Bayern Munich defender Rafinha is set to join Brazilian club Flamengo on a free transfer at the end of the season, the 33-year-old said on Thursday. Midfielder Arturo Vidal has received a public talking down from Barcelona chiefs after the Chilean took to social media to vent his frustration at not being selected regularly. Arthur made an instant impression in Barcelona’s opening encounter in the International Champions Cup pre-season tournament on Saturday after firing home in a 2-2 draw against Tottenham Hotspur, before the Catalans triumphed 5-3 on penalties. According to reports, Robben had been considering other offers, but the Dutch winger is now set to complete a decade at Bayern having joined the German giants from Real Madrid in 2009. Thiago's injury dampened the celebrations ahead of tough Bundesliga games against RB Leipzig and Borussia Dortmund in the coming weeks. 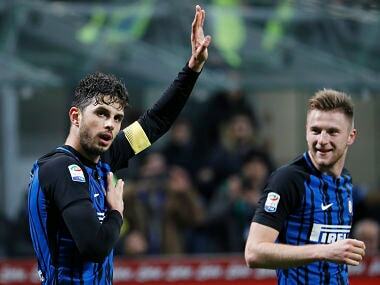 Inter Milan are 15 points behind leaders Napoli, who travel to Cagliari on Monday with champions Juventus, a point off top spot, hosting Atalanta on Sunday. Arjen Robben and Franck Ribery, both 34, are out of contract at the end of the season and a primary round of extension negotiations has already begun. 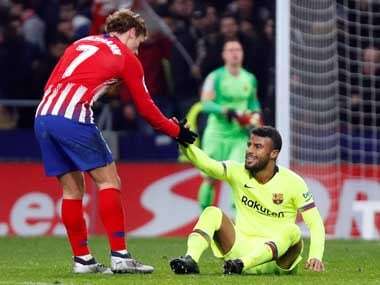 Barcelona midfielder Rafinha will join Inter Milan on loan until the end of the season with an option to buy, the Spanish club and the player confirmed on Monday.